I’ve enjoyed reading your blog and getting new ideas for tomato recipes. It’s nice that so many of them are suitable for vegetarians like me. omg, that consumption cure would send anyone to the hospital, lol. Thanks for visiting my website and for your kind words! You’ve got mail. LOL…you are right about some of those cures! It looks like anything and everything went into them. It was a fun read though, because while I don’t think the medicine helped much, I think that the lady Dr.’s ideas on diet and exercise (and how to choose a man) probably did extend some lives. Actually, I think Dr. Warner is quite wise in both her advise about men and about healthful eating. She’s rather quaint in her descriptions, but certainly applies even today. She sounds like she speaks from experience. Very interesting !! Absolutely love historic discoveries such as this. 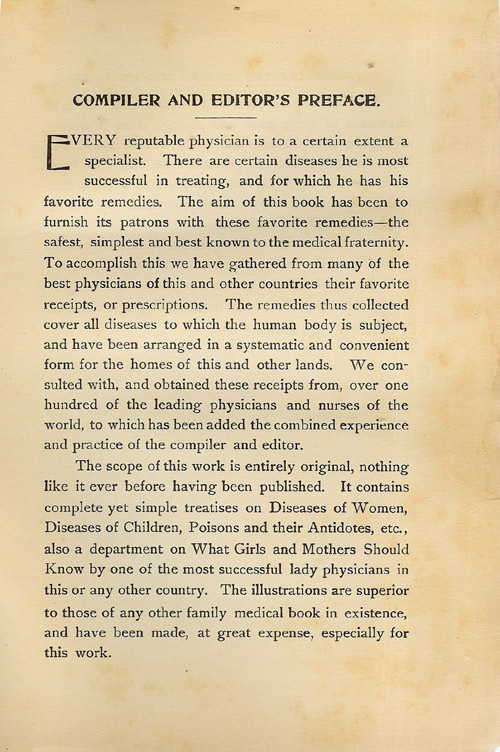 The book had a lot from Dr. Warner about the value of women exercising. This was at a time when that kind of activity was something “nice” women didn’t do. It was longer than I wanted for my post though and I didn’t want to edit anything out so I didn’t include it here. But, to be a woman dr. in 1904 and to back then reach the same conclusions about diet and exercise that today’s experts hold is impressive. I love discoveries like that book, too. It’s an opportunity to go back in time. 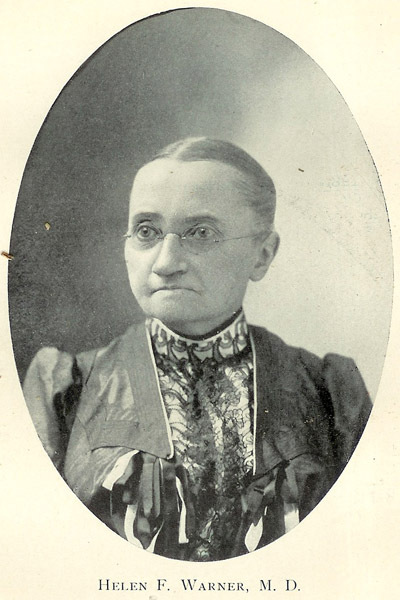 She was a woman doctor at a time when it was felt that all a female had to know was how to keep house or “if you were of society” you were sent off to finishing school. Wow, those medical receipts are quite…um…interesting. 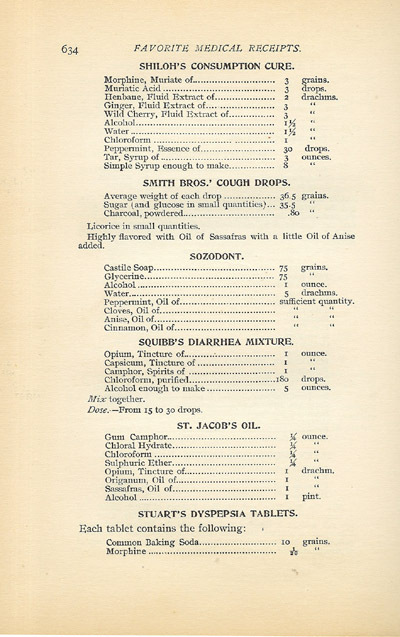 I guess that if you needed rest to get over your affliction, the alcohol, morphine, laudanum, and opium did the trick. But I don’t know how people survived the Gross’ Neuralgic Pills! That’s absolutely poisonous! 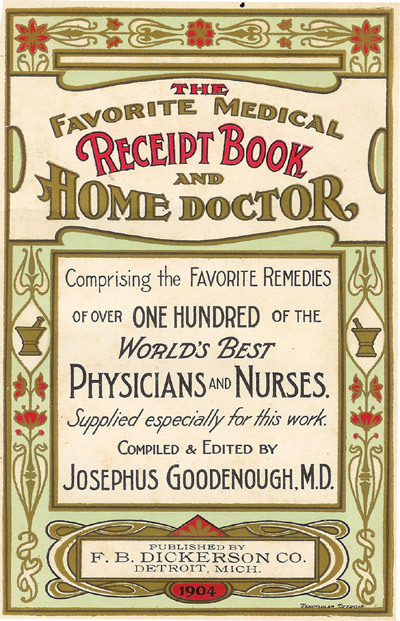 I think, back then, if people got sick they would be better off if they WEREN’T able to afford to send for a dr. 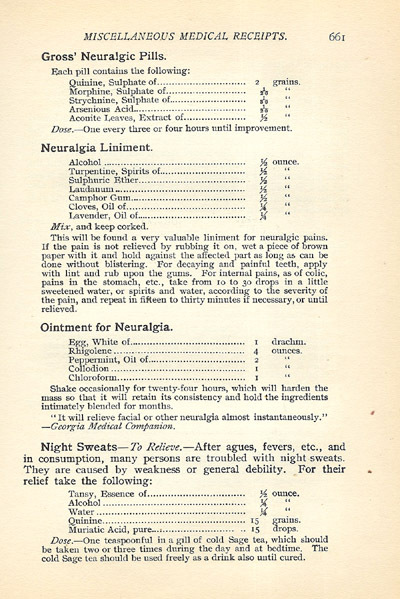 It sounds like some of those cures might be worse than the affliction. Thanks also for your comment about trying the photo transfers. If you had a lot of bleeding ink, I’m guessing you might have gotten ahold of waxed parchment… the wax prevents the ink from drying properly. If you can find just plain parchment, you may have a better result. Good luck! The ink WAS bleeding. I felt the parchment and it did feel kind of waxing. I will look for another kind. Thanks for your help.